NICE BRICK HOME IN GREAT LOCATION! Solidly built brick ranch with over 1600 finished sq. 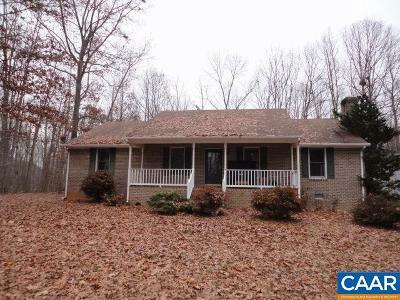 ft., 3 bedrooms & 2 baths with open kitchen to Great Room. Detached 2-car garage plus above-ground pool. Just minutes to Louisa or I64. Needs some TLC but a good investment for the savvy buyer. Sold strictly "as is".